A little PBO-8 Technical Piperonyl Butoxide goes a LONG way in fact, one pint of PBO 8 can be mixed with water and pyrethrin solution to make 55 GALLONS! Technical Piperonyl Butoxide for fly & mosquito fogging is not an insecticide, but used in combination with pyrethrum and synergizes pyrethrum for a better kill. Do not use alone or without pyrethrum. PBO-8 will prolong the usefulness of insecticides by overcoming MFO (mixed-function oxidases) resistance. Improved control means fewer applications, thus providing cost savings as well as environmental benefits. 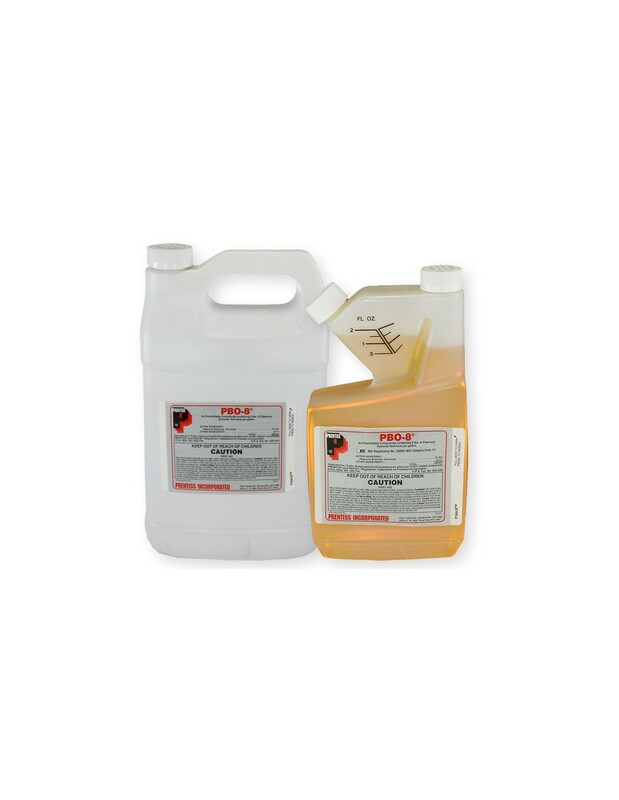 * Because of the mode of action, it allows use of reduced rates of insecticides. * Can be used as a spray, fogging or misting. * Poses low risk to humans and environment. Use in warehouses, homes, livestock housing facilities, milking parlors, poultry houses and residential yards, and other residential, commercial, and animal buildings or Housings. 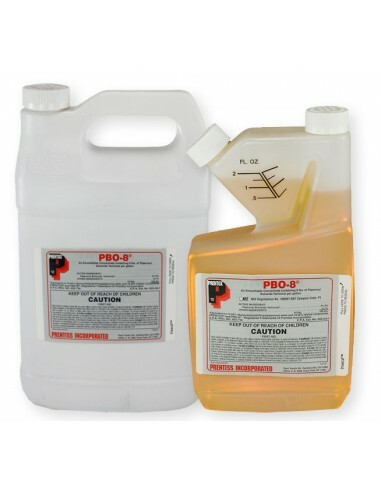 Tank-Mix: PBO-8 can be added to your favorite insecticide to help extend its life by combating resistance issues and restoring efficacy in resistant populations. Application: PBO-8 can be applied through mechanical, aerosol or ULV generators as well as thermal fogging equipment and non-thermal (cold fog) or spray equipment. Used as an additive with insecticides to increase pesticide activity and reduce pesticide resistance. Recommended dosage is 1 pint to 1 quart per 55 gallons of water. Not for sale in New York.